Francisco Liriano has made the St. Louis Cardinals look foolish at the plate in 2013. 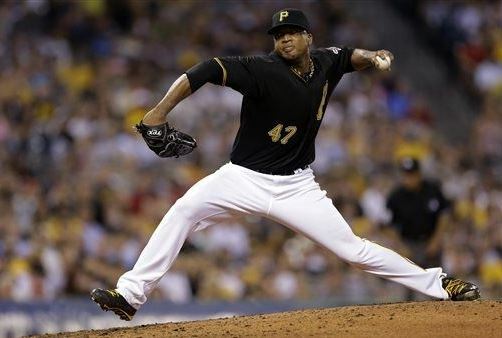 When 100% healthy, Liriano is a fantastic pitcher, no one can deny that. Yet, the Cardinals are making it easy on him. There are things that must be done by the Cardinals if they want to have success against him. First, let’s take a look at his statistics against St. Louis in 2013. Thus, Liriano is averaging 8 innings and 97 pitches per game against St. Louis. Liriano is a left-handed pitcher, and we all know that the Cardinals have a woeful time hitting lefties–.236 batting average, .293 on-base percentage, and .374 slugging percentage. Liriano also has devastating stuff. His whiff percentages are unbelievable for a starting pitcher. Batters are swinging and missing over 20% of the time on both his slider and changeup this season. His sinker averages 8.93 inches of horizontal movement, and his changeup averages 9.15 inches of horizontal movement. Thus, his pitches have incredible tailing action that lead to a lot of swings and misses. Well, unfortunately for the Cardinals, his pitches aren’t going to magically become straighter or any easier to hit. However, Cardinals’ hitters need to start laying off stuff out of the zone. By laying off pitches out of the zone, it will lead to longer at-bats, more walks, and better pitches to hit. Liriano has faced 84 St. Louis batters this season, and 42 of them (50%) have had at-bats of three pitches or less. This is a starting pitcher’s dream–an over-anxious lineup leading to efficient pitch counts. In Liriano’s 3 games against the Cardinals this season, St. Louis hitters have had 23 at-bats end with pitches out of the zone. They are 0 for 23 in those at-bats with 13 strikeouts. Thus, it is obvious that Liriano is getting Cardinals’ hitters to chase. 13 of his 20 strikeouts (65%) have come on pitches out of the strikezone. That is absolutely unacceptable for an offense like the Cardinals. The Cardinals offense is better than this. I realize he is a lefty, but they need to at least make it a little harder for him. Almost one-third (23/72) of Liriano’s outs are coming on pitches out of the zone. That just cannot happen if the team wants to succeed. Liriano is good, and the team very well may not ever be able to hit him this season or post-season. If this is the case, then the next best thing they can do is work the count and get to the bullpen quicker. A 94 pitch complete game just cannot happen to a lineup that consists of Matt Carpenter, Carlos Beltran, Matt Holliday, Allen Craig, and Yadier Molina. I realize that the Pirates have a good bullpen with Mark Melancon as their closer, but their chances are much better against him than Liriano. Also, if they get deeper into counts and stay within the strikezone, it will force Liriano to change the way he likes to pitch. If the Cardinals ever want success against Liriano, they need to emulate the Rockies’ approach against Liriano. He wants hitters to chase his pitches. Frankly, some of his stuff moves so much that it has to be hard for him to even throw it into the zone. Thus, lay of those pitches and take some walks. By doing this, Liriano will have to adjust by giving the batter a pitch to hit. Every month, the United Cardinal Bloggers are assigned a project to include in our personal blogs. As you may recall, in June, we talked about an exhibit that we would like to see in the new Cardinals Hall of Fame at Ballpark Village. In July, we voted on which Cardinals (players, managers, coaches, etc) deserved to be honored in the Hall of Fame. Well, for the month of August, we were all assigned to another UCB blogger. The goal of the project was to get to know each other a little better since the network is constantly growing each season. I was lucky enough to be assigned Marilyn Green. She is one of the staff writers over at RedbirdRants.com and really puts out some great content. Joe: I see that you live in Jefferson City via your Twitter bio, have you lived there all your life or did you move there for work/other reasons? Marilyn: I have lived in Jefferson City since 1986. I moved there for work reasons. I am originally from a town called Desloge, MO, which is about an hour’s drive south of St.Louis. Joe: When did you first become a Cardinals fan? Marilyn: I went to my first Cardinal game in 1966, when I was 6 years old. It was the year Busch Stadium I opened. I have been a Cardinal fan ever since. Joe: When did you decide that it was time to begin blogging about the Cardinals? Marilyn: I wrote a couple of guest articles for The Cardinal Nation Blog, where I am a frequent poster. When a slot at Redbird Rants became available, I applied and was chosen. Joe: I see mentions of Wainwright all the time on your twitter account, what about him makes him your favorite player right now? Marilyn: I am a big fan of pitching. I am also a big fan of people with character, intelligence, and a sense of humor. Put all of those together and that spells Adam Wainwright. Joe: What is your favorite Cardinal moment of all time? Marilyn: I have many favorite Cardinal moments. I think the best for me is still Bob Gibson striking out 17 batters in the 1968 World Series. Joe: How many games are you able to attend each year being in Jeff City and having a busy job as a lawyer? Marilyn: I am not practicing law at the present moment except on an occasional basis. I substitute teach and so my summers are free. However, from both a distance and a financial standpoint, I do not go to games much at all. 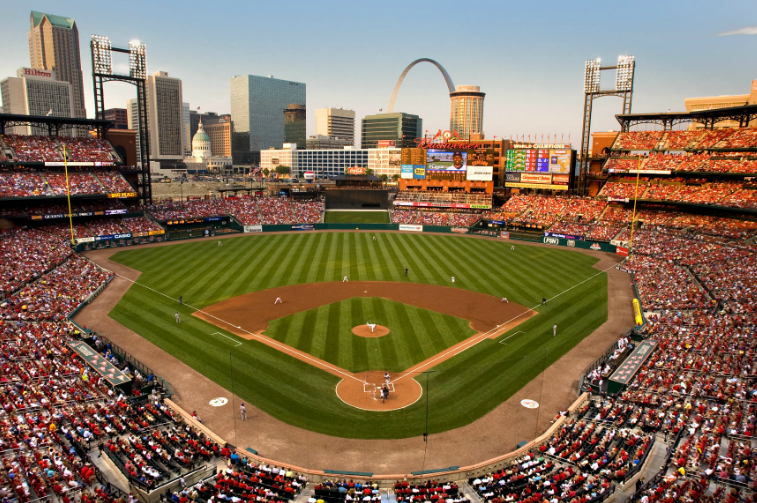 I have not been to a game at Busch Stadium at all this year. I did attend one game in Kansas City on Memorial Day when the Cards played the Royals, as a guest of a friend. Joe: What is your favorite part about blogging? Marilyn: I like to argue and express my opinions and I like to write. It’s an avenue to do both. Joe: Where do you see this team going this season? Playoffs? NLCS? WS? WS Champs? Marilyn: That’s hard to say. The team is most likely going to the postseason, though it is far from clear whether it will get there as a Wild Card or as a Division winner. If they win the Division, I think they will have a good shot at at least the NLCS. Beyond that, unless the pitching and the offense become more consistent, I believe the World Series is a long shot. Joe: Who is your favorite non-Cardinals player? Marilyn: Clayton Kershaw. I am a sucker for good pitching. That concludes the interview for this season. Thank you very much for your time, Marilyn. The Cincinnati Reds mauled the St. Louis Cardinals last night, 10-0. Adam Wainwright lacked his usual control and Reds’ hitters kept pulverizing his “get-me-over” fastballs early in the count. Was it because of his 128-pitch complete game last time out? In my opinion, the answer is no. Pitching is one of the hardest things to do in all of sports, and to be frank, it was just “one of those nights” for Wainwright. After all, he is human. Despite the embarrassing loss, last night was not all bad for St. Louis. Michael Wacha had a brilliant pitching performance in relief of the struggling Wainwright. A performance that likely makes him the “leader in the clubhouse” for the 5th spot in the rotation the rest of the way. 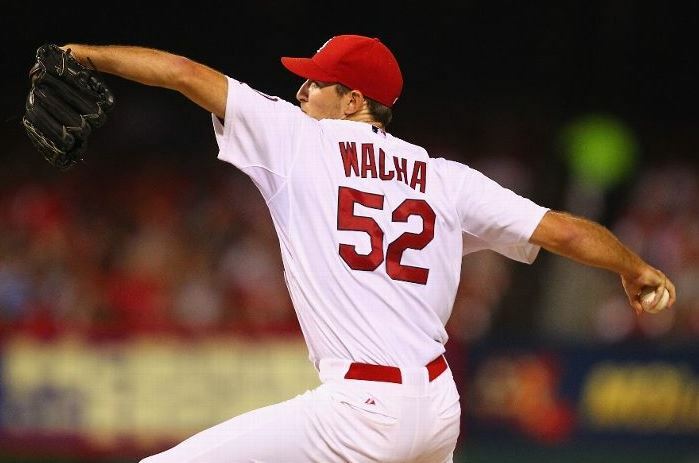 Wacha pitched four scoreless innings and allowed just three hits. He was also able to rack up a career-high seven strikeouts while tallying just one walk. Lastly, he showed a pretty good efficiency that will help him in the starting role–averaging just over 16 pitches per inning. As you can see from the graph, Wacha changed speeds effectively throughout his entire outing–maxing out at 98 MPH on his fastball and dropping down to 75 MPH on his curveball. He maintained the speed on his fastball throughout his outing–touching 97 MPH on his strikeout of Jay Bruce in his last inning of work. Another reason Wacha was so successful was his amazing “whiff rate.” Reds’ hitters whiffed on 14 of his 65 pitches (21.5%). His most successful “whiff” pitch last night was his changeup. He threw 17 of them and eight of them resulted in whiffs–an astounding 47.1%. 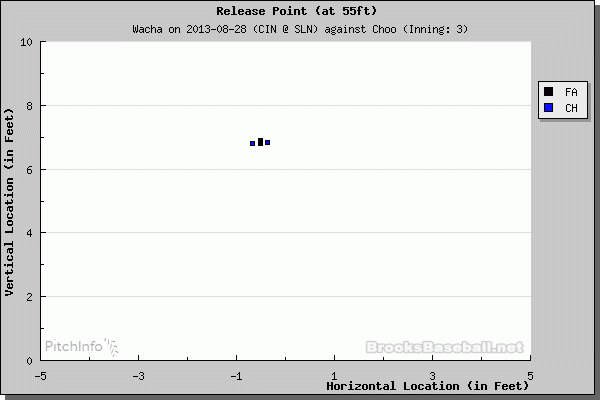 As you can see from the above graphs, Wacha was able to strike out two of the Reds’ best hitters (Shin-Soo Choo, Bruce) using merely a fastball-changeup combination. Sure, the curveball is a lot “sexier” and can lead to hitters looking foolish, but Wacha showed last night that his fastball-changeup combination can be devastating and will likely develop into his “go-to” sequence. The fastball-changeup sequence was so successful for him because his vertical release point on both pitches were virtually the same all outing long. Sure, the graphs show that his horizontal release point changed a little bit, but that must be done in order to locate pitches on the inside and outside parts of the plate. Wacha pitched like a crafty veteran last night, not a 22-year-old rookie with just over 33 major league innings under his belt. Because of this performance, I truly believe he has proven to the organization that he is deserving of the 5th rotation spot for the rest of the season. I know I have been the one of the biggest supporters of Carlos Martinez getting a spot in the rotation all season–as you can see in some of my past blogs. However, with a performance like Wacha’s last night, it is hard to deny the fact that he deserves a chance in the rotation. It will help the Cardinals down the stretch, and it will give Wacha the experience he needs to be a successful starter next season as well. 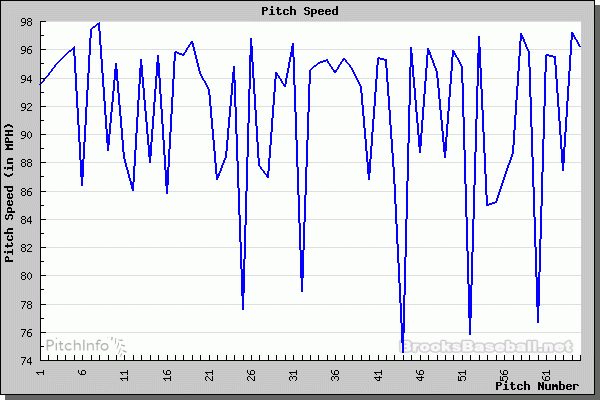 Special thanks to @brooksbaseball and BrooksBaseball.net for all the graphs and their amazing work! The Cardinals beat the Reds 6-1. The Cardinals are now an incredible 25-3-2 in 30 series against the Reds in St. Louis since 2003. Joe Kelly had yet another solid outing for the Cardinals. He was able to pitch around jams (with some help from the Reds’ base running) all night. He pitched 6 innings, allowing just one run–a solo shot from Shin-Soo Choo in the 5th. Kelly is now 6-0 in his last eight starts. Every starter (minus Kelly) had a hit. Matt Holliday, Allen Craig, Matt Carpenter, David Freese, and Daniel Descalso all had one RBI in the game. The other run scored on a ground out double play by Craig in the first. Kelly, along with the bullpen (Siegrist, Rosenthal, Maness), silenced the Reds after Choo’s solo home run in the 5th. Cardinals’ pitchers ended up retiring the last 13 Reds hitters in order. With the win, the Cardinals pulled 1.5 games ahead of the Pirates and 4.5 games ahead of the Reds in the National League Central. 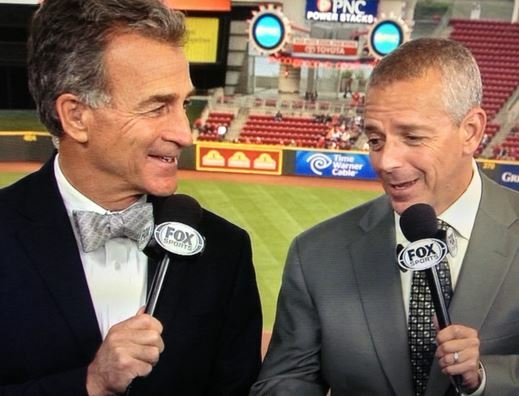 The Fox Sports Ohio telecast consisted of Thom Brennaman and Chris Welsh, and boy, were they extremely hard to listen to all game. After watching this telecast, it will be extremely hard for me to badmouth Danny McLaughlin and the Fox Sports Midwest crew ever again. Mr. Brennaman and Mr. Welsh, who is providing you with your scouting reports? Whoever it is needs to re-check their references. To be 100% sure, I immediately looked up Kelly’s pitches on BrooksBaseball.net. Prior to the game against the Reds, Kelly had thrown 871 fastballs (44% four seamers, 56% two seamers), and the average speed on those fastballs was 95.64 MPH. Also, by my count, Kelly had roughly 30-35 pitches that were faster than this nonsense “92-94 MPH” scouting report provided by the Reds’ broadcast team. In short, baseball broadcasters have one of the best jobs in the world. They are paid to watch and talk about baseball. Other than being a player, I really cannot think of a better job out there. As a professional, they should take ownership in providing viewers with the best information they can get. Broadcast teams have access to a lot more scouting reports than I do, so it could not have been that hard for them to find out that Kelly’s fastball has averaged nearly 96 MPH this season. There were various other quotes on various other topics that I could have also included in this post, but I figured I would spare you from any more of them. The next problem I had with the broadcast irked me the most. I could not stand their lack of interest in the game. Choo hit a home run that temporarily brought the Reds back into the game, and yet Brennaman called it in such a bored tone. If you truly don’t want to be there, I am sure there are many people in Cincinnati willing to take over, Mr. Brennaman. People can knock Danny McLaughlin all they want, but after what I just watched on Fox Sports Ohio, I will not be one of them. McLaughlin calls plays like he sees them, shows enjoyment to the game being played on the field, and interacts with fans via social media. All three of those (and many more) make him a much better broadcaster than both Brennaman and Welsh. In closing, I am sorry that this post ended up being a rant. I guess this can be seen as a sign that I miss being back home in St. Louis. I promise to refrain from posts like this in the future, I just really wanted to make a point and felt this was the best way possible. Struggling to find a quality topic for a full blog post, I decided to compose a post of 13 random statistical snippets regarding the 2013 St. Louis Cardinals. The snippets are numbered, but they are in no particular order. 1. As of today (August 25th), Pete Kozma has not had a hit in 23 at-bats. Yet, somehow, this is not his longest slump of the season. From June 26th through his first at-bat on July 14th, Kozma had a zero for 28 slump. 2. Kozma’s on-base percentage currently sits at .275. To put this in perspective, the Cardinals have seven players with batting averages higher than Kozma’s OBP. 3. According to Fangraphs.com, Matt Carpenter has the 4th highest WAR (wins above replacement) in the National League with 5.3. He is making just $504,000 this season. Like I stated on Twitter, he is putting value back in Most Valuable Player. 4. Also according to Fangraphs, the Cardinals have five players in the top 37 in National League WAR. Carpenter is 4th with 5.3, Yadier Molina is 7th with 5.1, Matt Holliday is 28th with 2.6, Allen Craig is 33rd with 2.5, and Carlos Beltran is 37th with 2.3. 6. Molina leads the National League in hitting with a .335 batting average. He has put the ball in play on the first pitch 78 times this season. In those 78 at-bats, he has 29 hits (.372 batting average) with two of them being home runs. 7. Jon Jay‘s current batting average is .270. Thus, in order to get to .300, he will need to catch fire. He is projected to get 108 more at-bats this season and will need 46 hits (.426 average) to reach the .300 mark. Not likely, but it would go a long way for the success of the team down the stretch. 8. Lance Lynn actually has some pretty decent numbers this season. Lynn has 15 quality starts–24th in the National League. He is also averaging 6+ innings pitched per start–second on the team behind Wainwright. He seems to always have one “blow-up” inning, but his overall performance has not been as bad as what people think. 10. The league average against left-handed pitchers is .250 this season. The Cardinals are 25th in the league in this category–hitting just .239 against left-handers this season. With the lineup set to be more left-handed next year (Kolten Wong, Matt Adams), look for the Cardinals to make some sort of move this off-season. As I have pointed out on numerous occasions, I would like to see the Cardinals deal Adams (and some pitching) for an upgrade at shortstop (Jonathan Schoop, anyone?) while his value is still high. 11. Next is an obvious and largely overstated one, but I will bring it up anyways. The Cardinals lead the MLB in batting average with runners in scoring position. The team leads the way at .328, and the next closest team is Detroit–43 points lower at .285. 12. The Cardinals are tied for second in the MLB in home runs over the last seven days with 11. The team had just 9 home runs in all of July, so obviously the ball is flying better in the warmer air. 13. For the “Tweeps” out there, the Cardinals have 11 players that are regularly active on Twitter. Not surprisingly, @Yadimolina04 has the most followers with 151,818. @carlosbeltran15 comes in second with 118,228, and @jonjayU is in third place with 102,233 followers. The player with the fewest followers is recent call-up, @Tsunamy27, with 5,881. I hope you enjoyed my 13 snippets for 2013. If you have any of your own, feel free to share them in the comments section below! 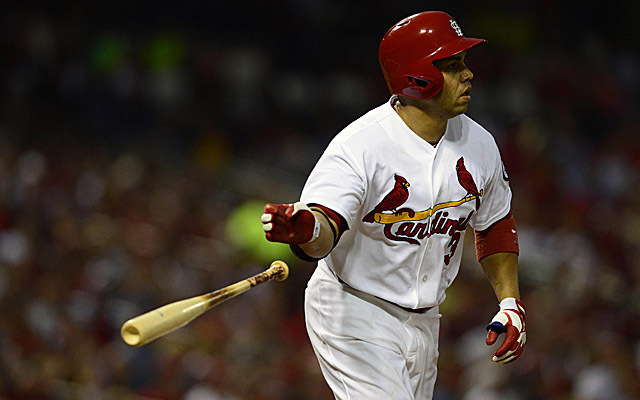 At the end of the 2013 season, Carlos Beltran will officially become a free agent again. Since the departure of Albert Pujols, he has been one of the most consistent power bats in the St. Louis lineup. Yet, with Oscar Taveras looming and Allen Craig fully capable of playing the outfield (and Matt Adams taking over at first base), do the Cardinals even need to re-sign Beltran? After all, he is 36 years old and will command a contract somewhere around the $15 million per year range. I know that there have already been numerous articles written on this topic, but I figured I would give you my take anyways. In my opinion, I do think the Cardinals should re-sign Beltran for two more seasons, especially with Taveras’ health being in question. An All-Star two years in a row for around $15 million per year is a steal in today’s market. One of the knocks on Beltran from last season was that he had a dismal performance after the All-Star Break. Numbers don’t lie, he did indeed struggle mightily in the second half–hitting just .236. Yet, in 2013, he has had 110 at-bats since the All-Star Break and has collected 33 hits–good for a .300 batting average. Thus, was his poor second half in 2012 just an anomaly? We have a couple more weeks to find this out for sure, but he looks fine thus far. If you want to break it down further, Beltran is hitting .357 with two home runs and four RBI in his last seven days–including this moonshot against the Brewers. After hitting 32 home runs last season, Beltran is on pace for 28 (22 thus far) this season. He had 97 runs batted in last season and is projected to have 86 this year. He still gets on base at pretty solid rate–.342–good enough for 29th in the National League. Lastly, Beltran is statistically one of the best playoff hitters of all time. In 2012 for the Cardinals, he hit .357 with three home runs and six RBI in the playoffs. For his career, Beltran is hitting .363 with 14 home runs and 25 RBI in just three playoff years. If the Cardinals plan on making the playoffs the next couple years, wouldn’t it be nice to have a bat like this in the lineup? I admit, I will be playing “Fantasy Land General Manager” here, so please bear with me. I am not alone in saying that I believe the Cardinals should re-sign Beltran. However, I am one of the few that also believes that the Cardinals should trade Adams while his value is still high. One of the biggest holes in the Cardinals’ lineup this season has been at shortstop. I admire Pete Kozma, but he just is not an everyday big league shortstop. Can Adams play shortstop? No, he cannot, but he just may provide the value (along with some minor league pitchers) needed to land a much-needed upgrade at the shortstop position. Adams started out on fire for the Cardinals, but his production has dropped off a bit in July and August–hitting just .239 in July and .267 thus far in August. Adams is a good hitter, but as long as he is in the National League, he is limited to one position. Thus, his value increases in the American League with the designated hitter being an option for him as well. So, who has something that can help the Cardinals at shortstop? In my opinion, the Baltimore Orioles. According to ESPN’s depth chart, the Orioles current designated hitter is Steve Pearce. He is hitting just .245 with three home runs and nine RBI. Adams is hitting .282 with nine home runs and 36 RBI this season. Based on the numbers, Adams would be a substantial upgrade for team at DH. So, who do they have that would make trading Adams worthwhile for the Cardinals? Jonathan Schoop. He is a top prospect for the Orioles who is currently playing at their Triple-A affiliate. He is fully capable of playing shortstop, second base, and third base. Schoop has played 58 games in Triple-A, and he is hitting .252 with eight home runs and 31 RBI. Is Schoop even available? Maybe not, but it would not hurt the Cardinals to put together a package involving Adams and some pitching and give it a shot. Schoop was asked for in trades involving both Jake Peavy and Matt Garza so it will take a lot to pry him away from Baltimore, but as a mere blogger, it does not hurt to aim high sometimes. Regardless of whether or not Schoop would even be available, the Cardinals would be better off in 2014 if they re-signed Beltran and traded Adams for an upgrade at the shortstop position, in my humble opinion. That would be a pretty potent lineup. I like Adams. I like him a lot. However, long-term, he is limited to one position in the National League, and that scares me. Craig can play in the outfield, but he has had injury trouble in the past. His bat has proven to be an integral part of the Cardinals lineup, so I feel more comfortable with him manning first base. Re-signing Beltran and dealing Adams would not only improve at shortstop but would also keep Craig at first base. Also, should Taveras’ ankle be 100% healthy next season, the signing would not necessarily stunt his development either. Because of the injury, I think Taveras will start out in the minors, but he won’t stay there for long. Once called up, there would be plenty of opportunities for Taveras to play in both right and center to give Jay and Beltran rest. If healthy and successful, Taveras could even take over in center field for a few seasons, leaving the Cardinals with a high quality fourth outfielder in Jay. As always, I am open to whatever criticism you may have. 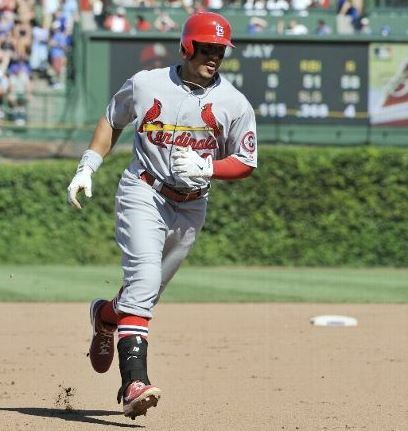 St. Louis Cardinals: What Has Been Different for Jon Jay? At the start of August, Jon Jay‘s batting average was .253. Now, 18 games into August, it is up to .273, and he appears to be climbing towards that coveted .300 mark. Needless to say, Jay has been one of the hottest, most consistent hitters for the Cardinals of late. Jay has the most hits (27) and most RBI (17) in the National League for the month of August. He is second in doubles with eight. His batting average is .370, his on-base percentage is .420, and his slugging percentage is .562–over 50 points higher than Cardinals’ slugger, Matt Holliday. So, what is different then? It does not appear that his batting stance is drastically different than what it has been. His hands may be a little higher, but nothing too obvious to the fan’s eye. If anything, it looks like it is closer to what his stance was at the beginning of the season when he was slumping–at one point in April, his average dipped all the way down to .197. Yikes! Well, let’s take a look at his (hitting) spray chart for the month of August. This may show that he is using a different approach at the plate. Thus, it looks like the difference is that he is finally consistently hitting the ball to the opposite field. Sure, he has pulled a couple singles to right field, but the majority of his power has been the opposite way to left–including both of his home runs. As you can see, he did not have a single extra base hit to left field in April. Sure, he had a couple up the middle, but nothing truly to left field. This is vastly different than his performance in August in which he has already hit two home runs out to left and has had multiple doubles down the left field line. I won’t bore you with another spray chart, but if you look at his chart from 2012, a year in which he hit .305, he was hitting the ball to the opposite field on a regular basis, just like he has been in August thus far. In short, Jay is not a “pull” hitter. To be honest, he is at his worst when he is pulling the baseball. We all have seen him roll over on pitches and hit slow ground balls to the first or second basemen many times throughout his career. Well, those are a direct result of him not allowing the pitch to get deeper in the zone. His stance may not be much different, but his approach at the plate has most definitely changed. He is letting pitches get deeper in the zone and is looking to shoot them out the other way, a la Matt Carpenter. I know that opposing pitchers and pitching coaches will notice that he is taking a lot of pitches out to left field because they have access to more in-depth scouting reports than I do. As a result, they will start pitching inside to Jay more and more. Thus, if he has a little cold streak for a while, give him time to adjust. Jay has a .293 career average for a reason–he will figure it out. 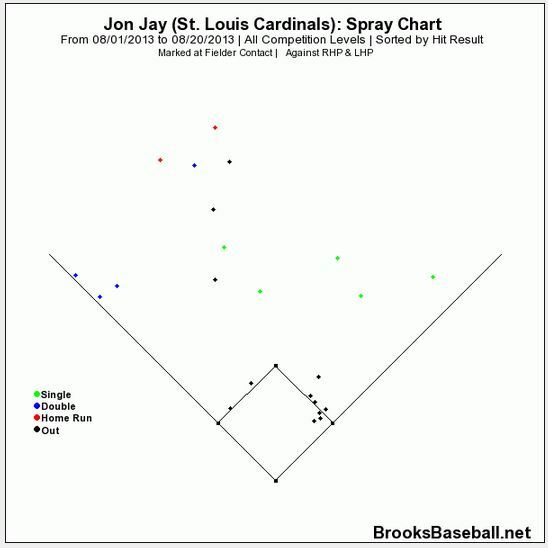 Jay has proven to be an integral bat for the St. Louis lineup (notice, this post has nothing to do with his defense). Final point. It is in Mike Matheny‘s best interest to keep Jay in the 6th spot of the lineup. It is where he has enjoyed the most success this season. In 91 at-bats in the 6th spot, he has 28 hits and 21 runs batted in. Of those 28 hits, seven have gone for doubles and three have been hit over the fence for home runs. P.S. 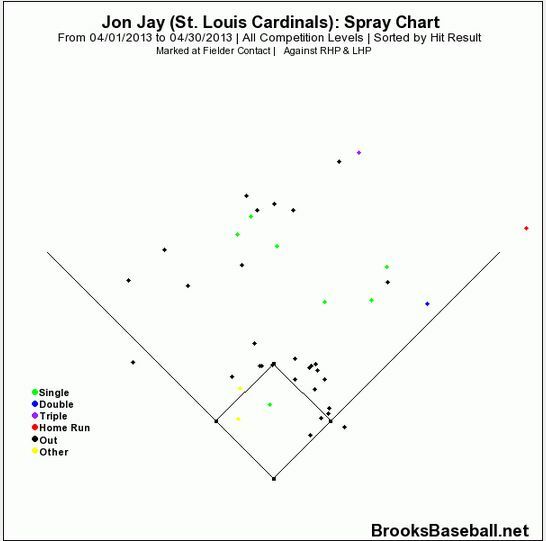 It did not take a rocket scientist to figure out what Jay has been doing differently during his recent hot streak, but I figured I would make it easier for my readers to compare his different spray charts in one post.